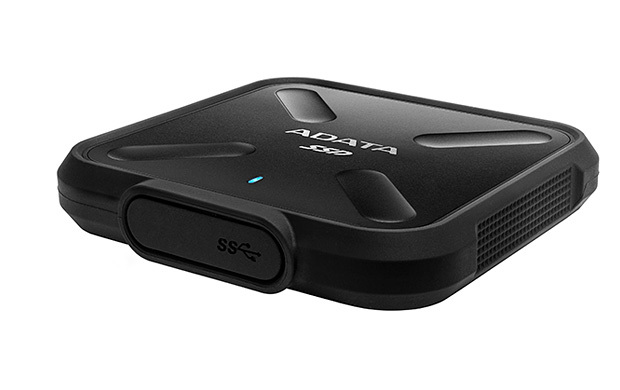 Adata ASD700-512GU31-CBK SD700 512G rugged external SSD Black colour. Compact, lightweight & super fast transfer speed! 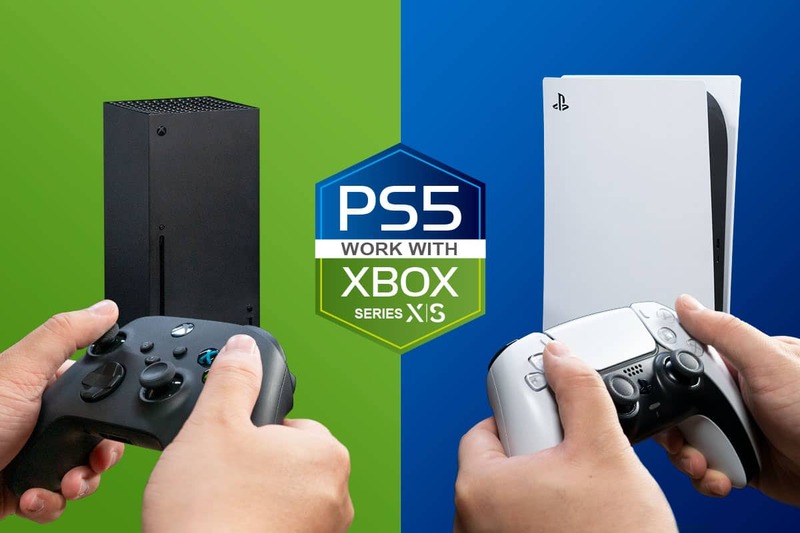 Times are changing and now external durable storage is moving to SSD. Say hello to USB 3.1 Gen 1 and high-grade 3D TLC NAND Flash with speed-enhancing algorithms and a DRAM cache, delivering performance multiple times higher than mechanical hard drives. 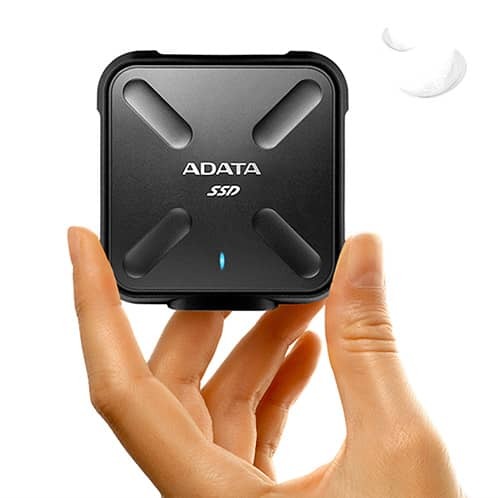 The SD700 reaches 440MB/s read and write, compared to max 100MB/s on an HDD. That means even the biggest files, like 4K movies, transfer much faster. Even better, the SD700 is wrapped in a protective shell that enables it to go with you everywhere, long term. The SD700 uses new 3D NAND, or stacked TLC Flash. The technology offers higher density, increased reliability, and better power efficiency compared to previous 2D NAND SSDs. You get a better product at a better value. 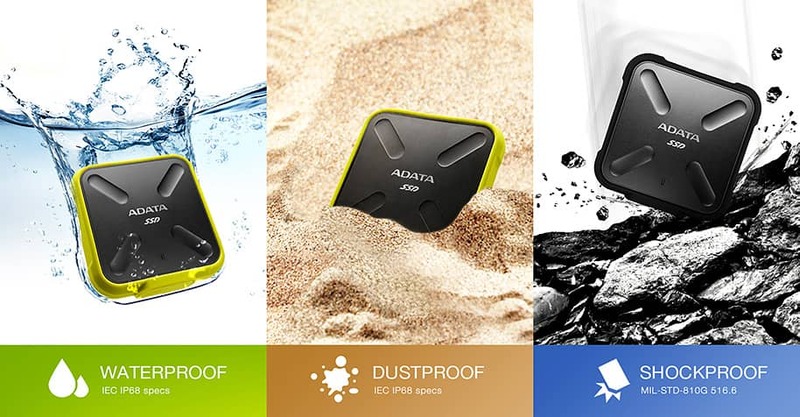 * Dust and water proof capabilities apply when USB port cover is firmly closed and secured in place. 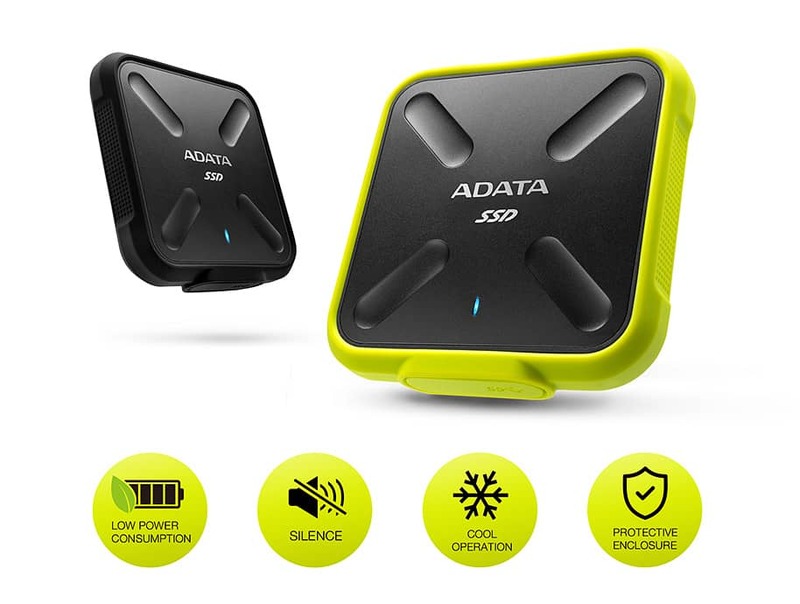 At just 75g, the SD700 differs greatly from the external durable storage you may be used to. This one slips comfortably into a jacket pocket, and definitely goes well with a bag without adding to your burdens. Always with you and ready for work, the SD700 delivers portable strength. The SD700 works with Windows, Mac OS, and Android so you can effortlessly share documents, photos, videos, and presentations. In addition to being fast and strong, the SD700 overcomes digital barriers as multi-platform storage for more of your devices – desktop to smartphone. Unlike mechanical drives, solid state drives have no moving parts. They’re completely silent, much more durable, don’t build up heat, and of course consume far less power. 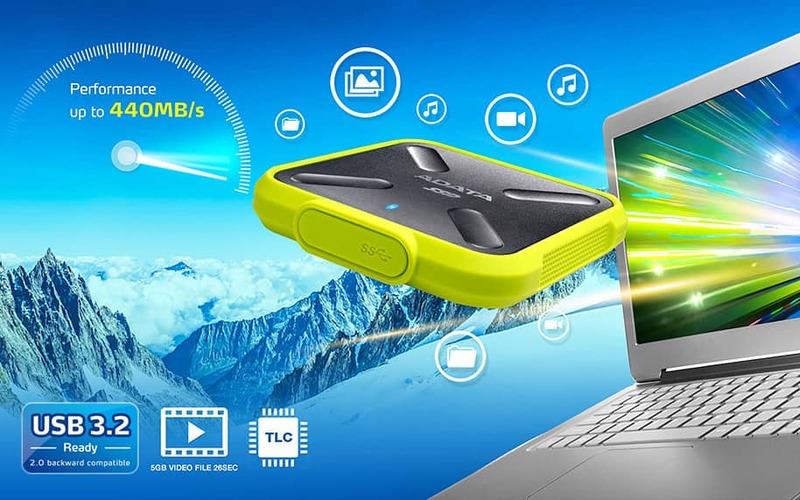 The SD700 embodies all this with advanced 3D NAND SSD technology, and maintains all of these advantages as an external drive thanks to a custom durable enclosure.